While the mainstream media is celebrating the fact that military troops are on the streets in areas of New York and New Jersey, there are many people who are very unsettled by their presence, and understandably so. In addition to the military involvement there is also a heavy police presence everywhere creating a very authoritarian atmosphere bordering on martial law. In fact, martial law has actually been declared in different areas that were affected by hurricane sandy. In New York a man traveled out of town to where the gas lines where shorter and gas was more plentiful so he could fill up as much as he could for his family and his neighbors. On his trip back he was stopped and searched by police, who then arrested him for buying too much gas. Even worse, the owner of the gas station was arrested also! 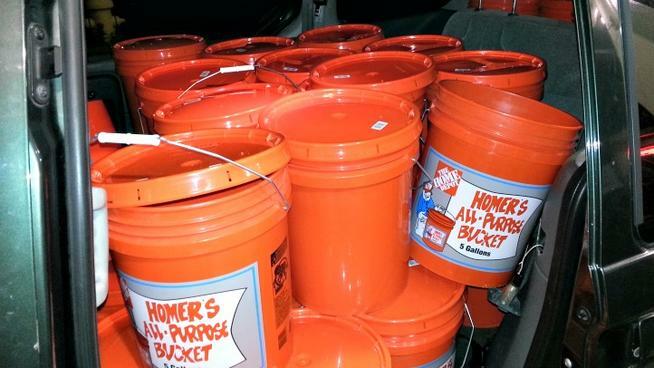 “Police arrested a 47-year-old New York man accused of filling up 30 five-gallon Home Depot buckets with gasoline on Saturday night. According to investigators, Yunus Latif, of Richmond Hill, collected money from his neighbors, bought gas at a Valero station almost 80 miles away in Orange and planned to bring it back to his neighborhood, where they had no power and gas. Just before 9 p.m. on Saturday in Orange, police found buckets filled with 4 gallons each stacked inside Latif’s van and it looked like the lids were beginning to expand, officials said. Many residents all across the east coast are still without power, gas and even food. To make matters worse the government has restricted peaceful human interaction every step of the way, preventing non union crews from helping out with the cleanup and arresting anyone who tries to do something independently for their community. Disaster situations like this are propaganda goldmines for governments because it gives them an opportunity to pretend that they are relevant and necessary for a society to work. The last thing that they would want is to be out shined by an independent group of people who don’t require a whole bunch of violence to get the job done. Well, despite all their effort, that is exactly what has happened. Occupy wall street has actually been more effective than the red cross in actually helping people that needed help, even rowing canoes through the streets of New York to bring food to people who needed it. How long they will be able to get away with helping their community before the police crack down on them is hard to tell, but it does seem that since news got out about the non union crews being turned away. mutual aid groups and volunteer crews are finally being let through. As for the two men who were arrested in this perfectly voluntary gas transaction, they are scheduled to appear in court on November 19th.